Crelate gives you the capability to email resumes from your 'whitelisted' email address to your database. To make use of this feature, simply using the Forward as email feature of each respective service and send them to the same yourorgname@crelate.net (ie. 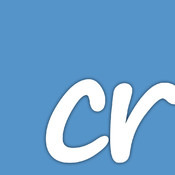 remingtonrecruiting@crelate.net) email address you use for all email-based resume parsing. Please refer to each services online help for details on how to forward candidate resumes as email. Additionally, if you have been forwarding the resumes to yourself and they are sitting in your Inbox, you can use the following special email addresses to forward them into Crelate.